You get there, you do recce, you spend all day Friday anxiously awaiting 7pm. OTR begins on Friday night with ten miles of super specials at Portland International Raceway. For me, having a background in road racing, PIR was a special experience. Dirt, gravel, grass, racetrack. Track “chicanes,” pylon chicanes. Hairpins onto grass, hairpins on asphalt “no handbrake!” A wonderful mixed bag, I was excited to throw out all the stops. That is, until we made it halfway to the first corner. 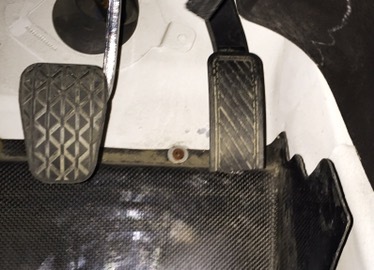 At the start, the throttle pedal slipped past the car’s carbon fiber footrest… and didn’t come back up. We were going full throttle in first gear straight towards a left three. It turns out, the footrests sometimes slip backwards a little bit after install. This allowed just enough room for the pedal to slip past the edge with moderate pedal pressure. After shutting the car off, Ole got out the triangles., even though the entire crowd and start line could see us- it’s protocol!, and had to manually pull the pedal back up, something I was unable to do strapped in. We lost about three minutes on a stage that is only about 2.4 miles to start with. The remainder of the 5 mile leg was being careful that it didn’t happen again. The fix? A forty-five minute service was built in to allow competitors to get through the stages since they were built in. During this service, we cut the bottom of the throttle pedal off. Unfortunately, there were delays after an incident on the second stage. After a thirty minute or so delay, the last five miles of the night were completed. A third service for the day came next, before heading out to an all-tarmac stage, Maryhill Loops. Maryhill Loops Road is pretty historic. It is normally closed to auto traffic, but was the first paved road in Washington. 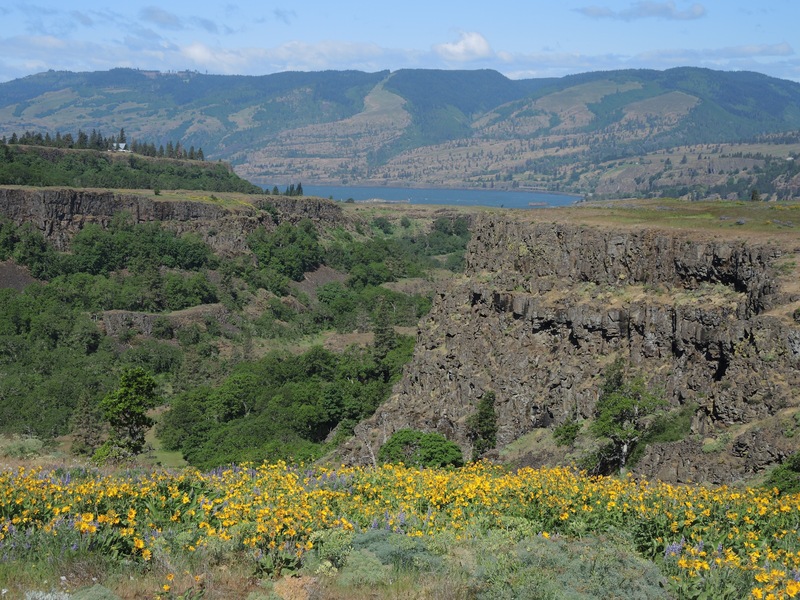 Although it climbs the Columbia Hills, it’ only a 5% or less grade the whole way, with big, long, beautiful corners. The Mazda Zoom-Zoom commercials were filmed here! 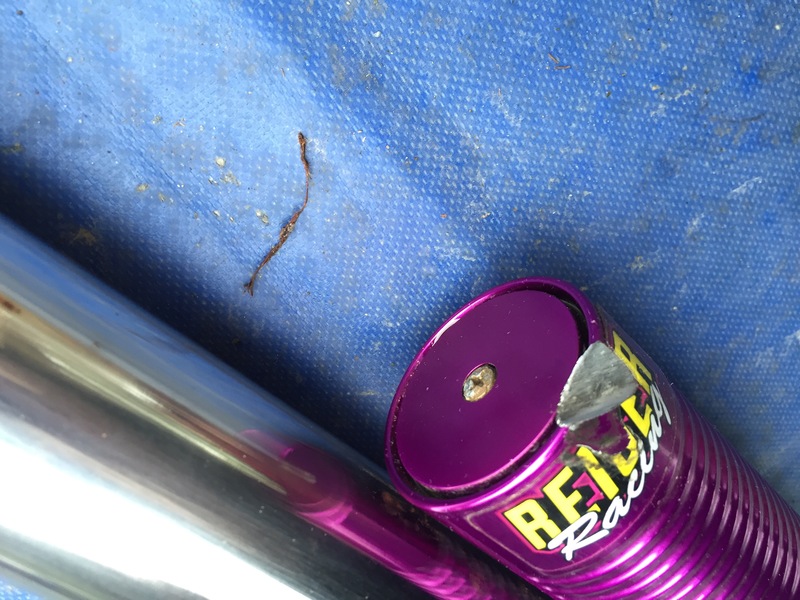 We had a chance to swing through service to get our gravels back on after MHL and the problem dissipated. We weren’t sure what it was at the time, but had chalked it up to the wheel weights hitting the struts. By the time we ran the last stage, twilight had quickly faded. Dalles Mtn is the reverse of Columbia Hills, uphill and then really fast, really downhill, really exposed (not as much as Goodnoe, though!) Even with lights, the uphill is fairly blind since the lights don’t light up the ground very well at that angle. Uphill was slow, downhill was faster, trusting the notes more and more. What I thought was a piss poor time ended up being a decent stage time, but more importantly only seven seconds behind the duo of Guitar/Penza. Day three still began with us nearly seven minutes behind Jordan and Brian. So having only the intention of finishing, I decided it was a good time to push the car a bit harder. There wasn’t much of a choice to go slow since Sunday’s Dufur stages are so damn fast. 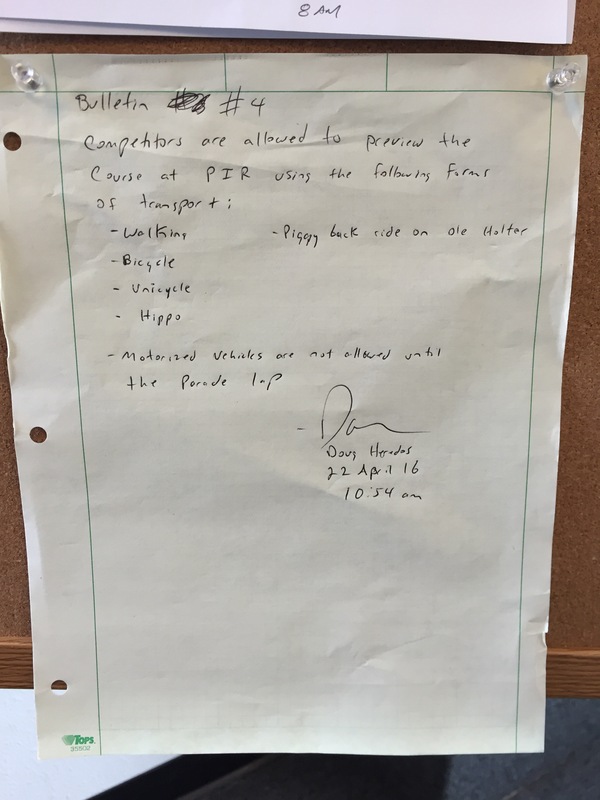 Trying not to run it up high in 2nd gear, I pushed the car harder and harder throughout Sunday’s first leg of Deere Run, New Endersby, and Boyd Loop. At the first and only service of the day, I was filled with joy from finally getting three good stages in. The toughest part of having a couple bad rallies when you’re just starting out is that it rips your speed factor apart and eats it for breakfast, lunch, and dinner. This means you have an hour of waiting after first car out, are way back in Parc Expose, and worst of all, get the most degraded road conditions. This last part is only sometimes true, however, because sometimes you get swept roads, which is an advantage. Depending on the roads, degraded sections may nullify any advantage swept roads gets you. I was so happy to have some decent stages, knowing I could go even faster, in sheer hopes that it would get me a better start position for Olympus. Brakes fully engaged, we knew before this leg that the rotors had begun delaminating, but why couldn’t they have lasted just one more corner? Ole on the intercom repeating the right three that we’re rapidly approaching. I look past the corner noting the burm and cattle fencing before deciding that we had slowed down just enough to make it… as long as getting sideways would scrub just a bit more speed. And it did. Although we lost at least a few seconds, we came out on top on that last stage, taking it twenty-one seconds faster than our previous running and just six-tenths of a second faster than our friends in the Fit. As far as the car goes, we are more hopeful than ever that it will be running correctly at Olympus, where we get a two-pass recce to write our own notes. The stages are looking wonderfully technical, just the way I like them! 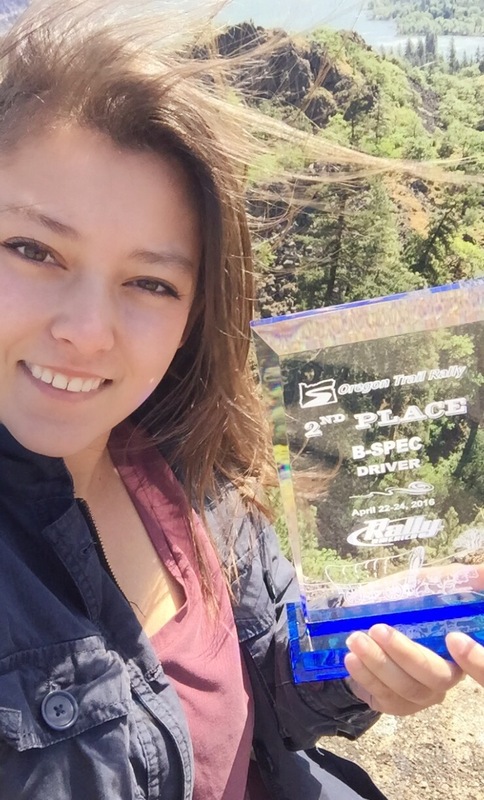 Keanna's love for performance driving began with winter driving schools in 2011 and quickly snowballed into ice racing. After turning 18, she got on the racetrack for the first time and went on to get her SCCA competition license for road racing. 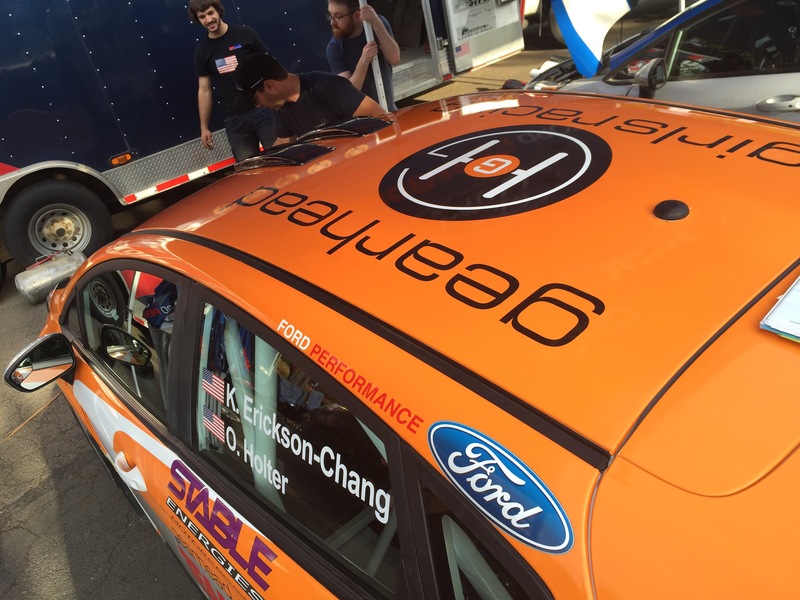 From there, Keanna went straight to rally school and later started endurance racing. In the meantime, she did a little autocrossing and became the only female driver to have made it into the Wells Fargo Invitational Autocross Shootout. In 2015, she managed and drove for two teams, Earn the Drive Racing and G-tron, in American Endurance Racing- where they put a car on the season championship podium in second place overall. In the midst of it all, Keanna continued to do rally schools and decided that it was rally, not road racing, that had captured her heart. After spectating at NEFR in 2015, she decided that one or two rallies in 2016 wouldn't be enough. 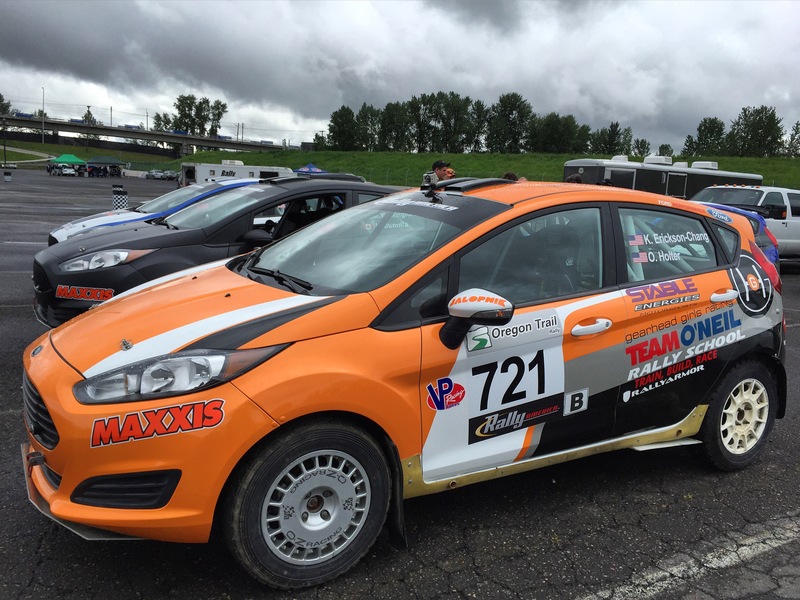 This year she's competing in the Rally America National Championship with a 1.0L EcoBoost Fiesta in B-Spec. ← Previous Post: Watches inspired by Cars: Straton Watch Co.